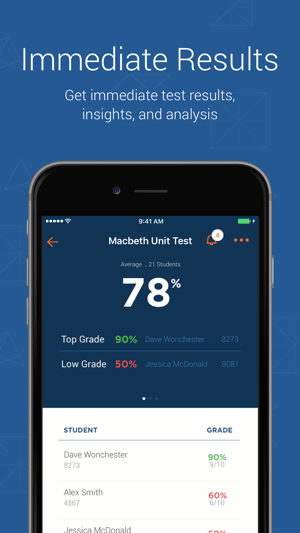 With the Akindi mobile app, you can quickly grade assessments with your iPhone’s camera and get immediate results, insights, and analysis. 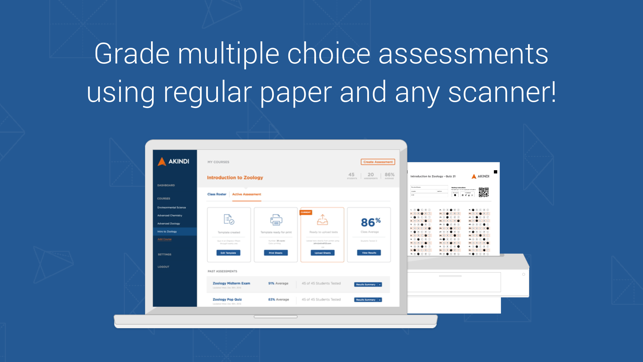 Since 2012, we’ve been helping educators manage, grade and provide feedback on multiple choice assessments using any paper and scanner. 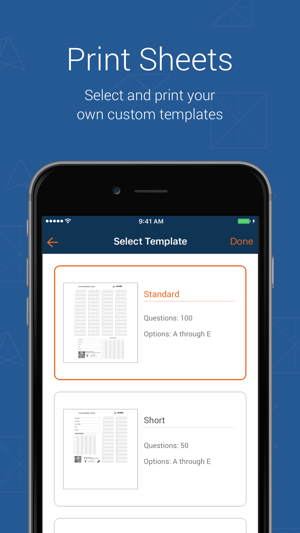 We’re now excited to bring our proven experience to your classroom so you can do all that and more with just your iPhone. Our platform is trusted and used by teachers across the world in schools like Harvard, USC, Duke and many more. 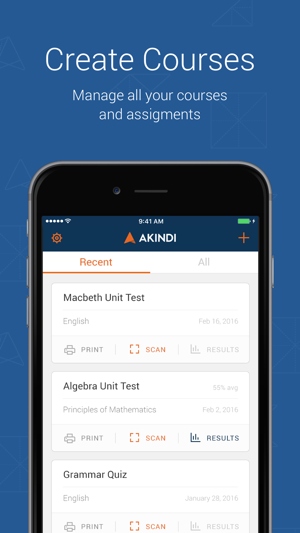 Akindi makes it easy to carry out assessments with tools to help you handle errors, scan results, manage class roster and store answer sheets. 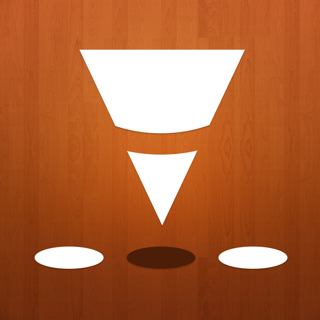 Choose from different templates and customize them with your assessment information for a better testing experience. Spend less time pushing numbers around and more time seeing what went well and what requires more of your attention. 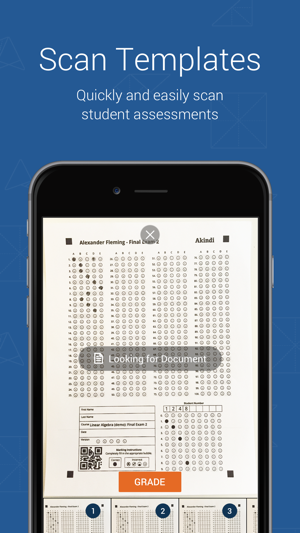 Access your assessments and results on your phone, or continue the Akindi experience on the web! Improve performance and memory use, fix a rare crash when finishing a scanning session. 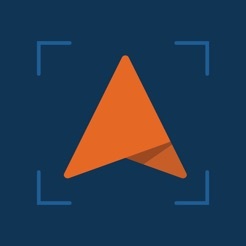 Version 1.0.2 also includes an updated the scanning engine to support our most recent QR codes, which you'll need if you see "no valid QR code" while scanning. The app always crashes whenever I want to grade a sheet. I cannot even make an answer key. The app is frivolous without such capabilities. This came out the day before my second semester finals started - perfect timing! I love that I no longer have to go to the copy machine to scan answer sheets in. However, there seems to be a bit of a glitch. I have been grading my students' exams as they've been turning them in (in other words, one at a time) and every single time I grade one I get a pop up saying it can't be graded unless I scan an answer key in (even though I already scanned in an answer key a few days ago). Exiting out of the pop up takes me back to the main screen, then I can select the assessment and the score for the sheet I just scanned is there. So it's still grading the test, but it's making me click through a bunch of extra screens on the way there. I also wish that it would alert you to any exceptions on a student's answer sheet that need to be addressed (maybe a little exclamation point next to their score), as well as put the name/ID number next to image in the exception so if I need to it is easy to pull their answer sheet to double check what answer they chose. 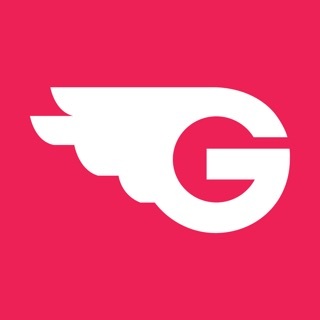 Overall it's a pretty solid app for a first release, and has the potential to be really great! Why did they (finaly) release what could be a very useful app, RIGHT AFTER the Spring quarters and semesters are over and the Final Exams have been corrected?? We can't even test! !